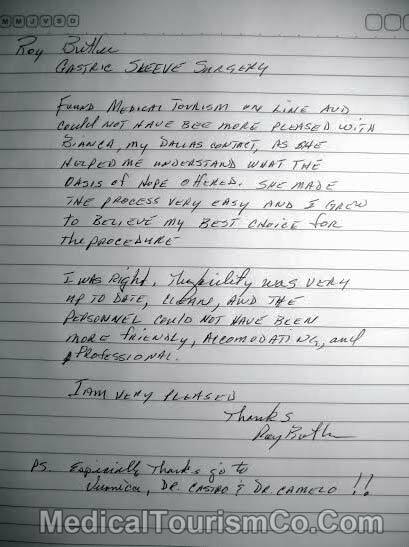 Testimonial of Roy Butler who had his gastric sleeve surgery in the Mexican border town of Tijuana. Roy’s sleeve surgery was performed by a highly experienced bariatric surgeon in Baja California who has helped over a 1,000 patients fight obesity with weight loss surgery in a span of four years. to believe my best choice for the procedure. I was right, the facility was very up-to-date, clean and the personnel could not have been more friendly, accommodating and professional. Disclaimer: Weight loss results may vary from individual to individual. We do not guarantee any specific results. 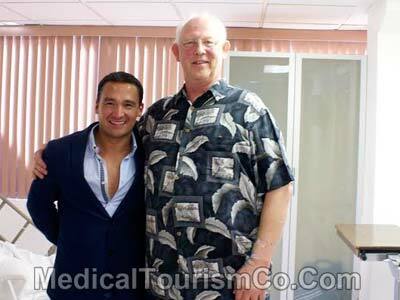 Medical Tourism Corporation has a long list of happy and satisfied customers. Watch a before and after gastric sleeve video which showcases the awe-inspiring transformation of Deborah from Texas.